I wrote a blog post last year February referencing MVP Tony Redmond's blog post on End of Life for IE8 browser and suggested to upgrade to IE11. Also I had updated that article referencing Redmond magazine blog post which points to IE Team Blog post "Stay up-to-date with Internet Explorer" explaining the support policy for IE browsers. As stated in the IE Team blog post, "After January 12, 2016, only the most recent version of Internet Explorer available for a supported operating system will receive technical support and security updates" Upgrading to IE 11 now becomes mandatory as we are near to the deadline and Microsoft team recently published a knowledge base article on the new "End of Life" upgrade notification feature that will be delivered in the January 12, 2016, cumulative security update. As stated in the article if you have not yet upgraded to IE11, you can disable the notifications temporarily and plan for a upgrade soon. 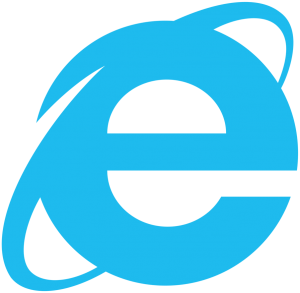 Microsoft recommends the usage of current or immediately previous version of Internet Explorer; the current version of Microsoft Edge, Safari, Chrome, or Firefox as supported web clients and if the browser clients are legacy there will see diminished performance. If your Organization is still using Legacy IE browsers, you can obtain the browser usage report from Office 365 portal as a start, Generate the complete report to identify full set of users by connecting to Office 365 service using remote PowerShell as explained in the below article.